Emirates has recently announced that it will be using Selective Laser Sintering (SLS) technology to produce video monitor shrouds for its aircraft cabins. The move marks another milestone in the company’s use of 3D printing technology – in October, it began onboard trialling of its 3D-printed cabin air vent grills, developed by the European Aviation Safety Agency (UUDS). The aerospace industry has been a front runner in adopting 3D printing technologies for end-use production parts. In April, Boeing was reported to have used 3D-printed titanium parts for its 787 Dreamliner aircraft – the first 3D-printed structural titanium components for an aircraft – saving the company up to $3 million. And this summer, Lockheed Martin invested $1 million to create a 3D printing lab that will develop 3D-printed aerospace parts. For its project, Emirates partnered with US 3D printer manufacturer 3D systems. The journey to production saw Emirates making use of 3D Systems’ SLS technology and Duraform® ProX® FR1200 thermoplastic to create the video monitor parts. The use of SLS technology provides a whole host of benefits for airline companies. One obvious advantage for Emirates is that the technology provides lighter parts, and this can lead to reduced fuel emissions. Moreover, several parts can be printed at once and, unlike FDM technologies, no support material is required. Not only can this reduce material waste, but it can also speed up production times. A key attraction in the adoption of 3D printing technologies for manufacturing is the possibility of creating one-off parts on demand – making inventory management more efficient. This is an opportunity that Emirates has seized upon – by using 3D printing technology, it will no longer be necessary for the airline to hold a large stock of spare parts. 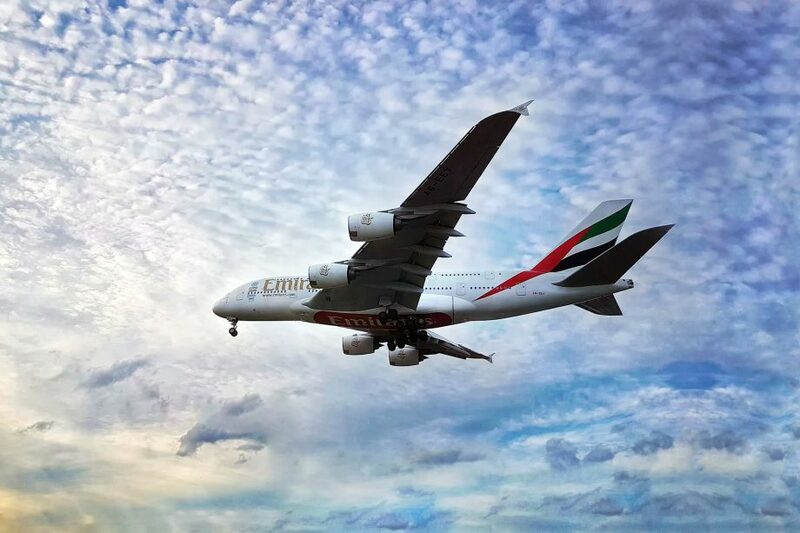 Emirates’ printed parts underwent significant testing for flammability, durability and chemical resistance and are currently awaiting EASA certification for airworthiness. The airline has also stated it will conduct regular testing of the new parts. So as Emirates continues to evaluate the effectiveness of 3D printed parts for its aircraft, the question is: will aircraft cabins be completely 3D printable in the future?